The $1.3 trillion omnibus spending bill President Trump signed last week includes a record amount of funding to prepare communities for future extreme weather events that scientists say are being exacerbated by the impacts of global warming. Republicans have been reluctant to discuss the role of climate change in fueling recent natural disasters, but there has been growing consensus that long-term recovery plans should address "future risks." And now lawmakers are putting taxpayer money where their mouth is. The fiscal 2018 package includes $249 million for the Federal Emergency Management Agency's Pre-Disaster Mitigation Grant Program (PDM), which is an appropriation three times the average annual amount over the past 15 years. "That's certainly a very significant development," said Ryan Colker, vice president of the National Institute of Building Sciences (NIBS). A recent study from NIBS found every dollar invested in hazard mitigation can save up to $6 in future disaster costs. And with the rising cost of natural disasters, front-loading mitigation is becoming more of a congressional priority. Last year alone, NOAA estimated there were 16 weather and climate disaster events that collectively cost $306 billion, amounting to the most expensive year for natural disasters on record. "Finally it seems as though the federal government [has received] enough education that now folks understand we need to spend in advance and mitigate in advance," said Brian Pallasch, managing director of government relations for the American Society of Civil Engineers. "You don't want to build infrastructure to withstand the last storm, you want to build infrastructure to withstand the next storm," he said. 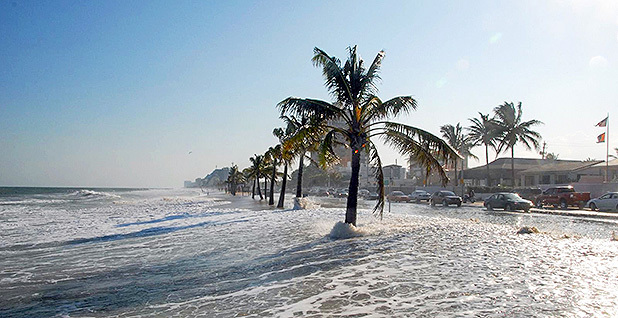 Laura Lightbody, director of the Pew Charitable Trusts' flood-prepared communities initiative, said FEMA's program is uniquely positioned to take on ambitious mitigation efforts. "This is one of the only federal programs available to communities before disasters strike to undertake activities that reduce overall risk such as elevation of structures and relocation of flood-prone properties," she said in an email. FEMA's PDM program was created under the Stafford Act and awards planning and project grants to state, territorial, tribal and local governments that want to reduce future losses before disasters strike. It's one of the few programs that allows states and localities to use federal funds before a disaster hits. FEMA Administrator Brock Long has stressed his intention to shift FEMA's primary focus from recovery to mitigation to ensure infrastructure is affected less during future natural disasters. At a hearing last year before the Senate Homeland Security and Governmental Affairs Committee, Long said he wanted to disentangle hazard mitigation funding — money for projects such as flood-proofing — from disaster relief to make it easier for cities to build in resilience before disaster strikes. And earlier this month, he unveiled a new strategic plan emphasizing the development of a culture of preparedness and readying the nation for catastrophic disasters (E&E Daily, March 16). Unlike other Trump political appointees, Brock has earned respect and favor with many FEMA career staff who say he is qualified to run the agency. Still, the new strategic plan makes no mention of climate change, unlike the 2014 version, which worries some observers (Climatewire, March 20). While President Obama made explicit the connection between global warming and efforts to invest in mitigation programs, Andrew Huff, director of federal affairs for the National Association of Mutual Insurance Companies, said his organization has always veered away from discussing causes when advocating for mitigation. "We talk about the need to prepare, we never talk about the reasons," he said. "We look at this issue through a bipartisan lens. We don't look at it with politics being at play." NIBS's Colker said people are recognizing that the exposure to disaster is increasing regardless. "Whether that's climate related or not depends on your view of the world," he said. "But there is a recognition that more folks are in harm's way and anything we can do in advance to address those growing risks, well, Congress recognizes the value of doing that," he said. Ken Berlin, president and CEO of the Climate Reality Project, which was founded by former Vice President Al Gore, praised the FEMA funding. But he added the move is not enough to address the larger problem at hand. "Funding and resources outlined in the spending bill for hazard mitigation are certainly a critical part of responding and adapting to this new reality, but if we don't address the greenhouse gas emissions that cause the climate crisis in the first place, storms will continue getting stronger and their price tags will continue to mount," he said in an email. "Our policymakers must take decisive climate action — our future depends on it."